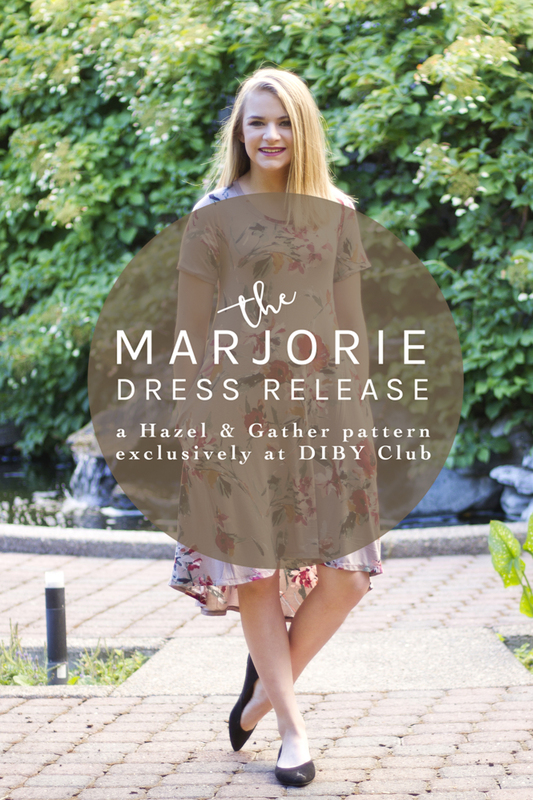 I am thrilled to be part of Hazel & Gathers Marjorie Dress Pattern Release and Blog Tour! I was part of the initial testing group, once again, testing Reagan’s size. There are benefits to being at the top of girls sizes and the bottom of women’s sizes! It is difficult to find testers in those sizes, so Reagan gets frequent tests and new items of clothing! Be sure to read to the end for the sale details and to see the rest of the blog tour links. 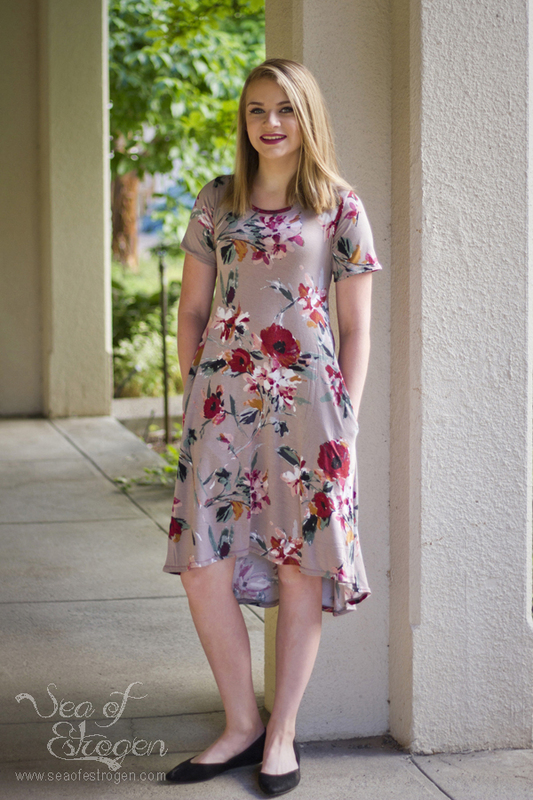 The Marjorie is for anyone looking for a simple, classic, and comfortable dress that you’ll reach for over and over again! Plus . . . POCKETS!!! Marjorie is fitted at the top with a perfect amount of “swing” at the bottom, for a fun, flirty practical look. It comes with a slight high-low hem and two length options. In addition, the pattern includes three neckline options and three backline options. 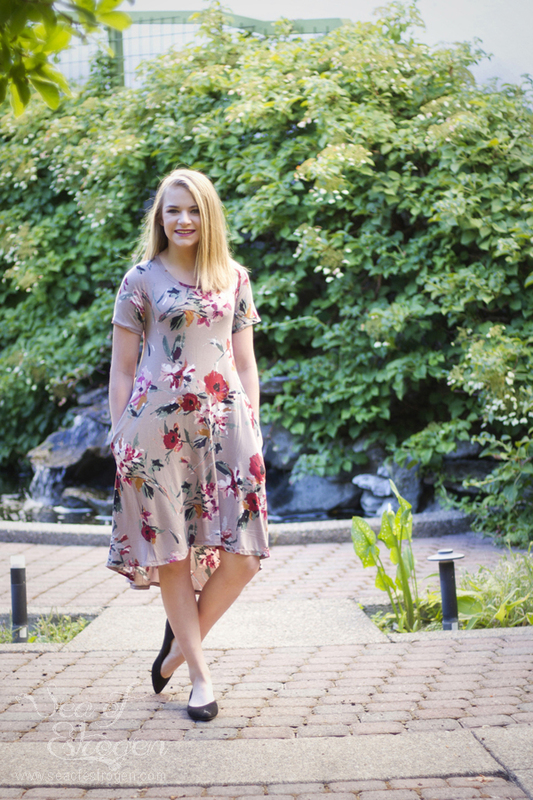 Add the four sleeve length options, and you have a dress made for every occasion! 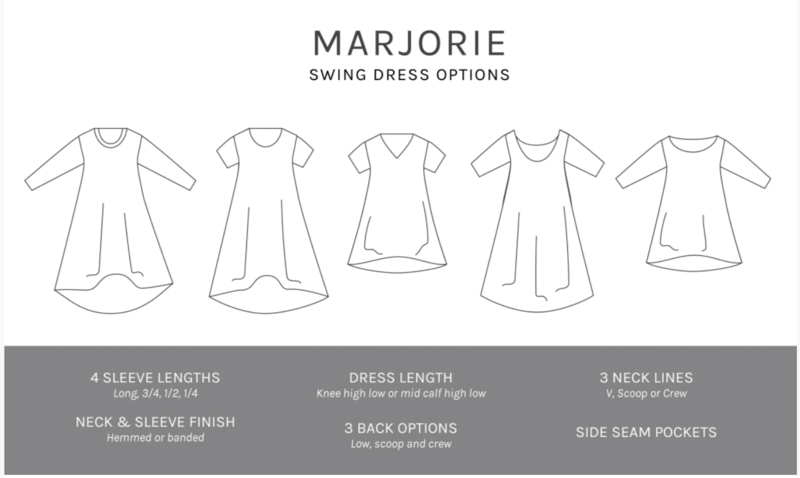 The Marjorie Dress pattern is available as an instant printable PDF download. Detailed instruction packet with assembly instructions, diagrams, as well as links to tips and tutorials for easy assembly. For Reagan, I made the short sleeve, knee-high, scoop neck option, and we included the inseam pockets. 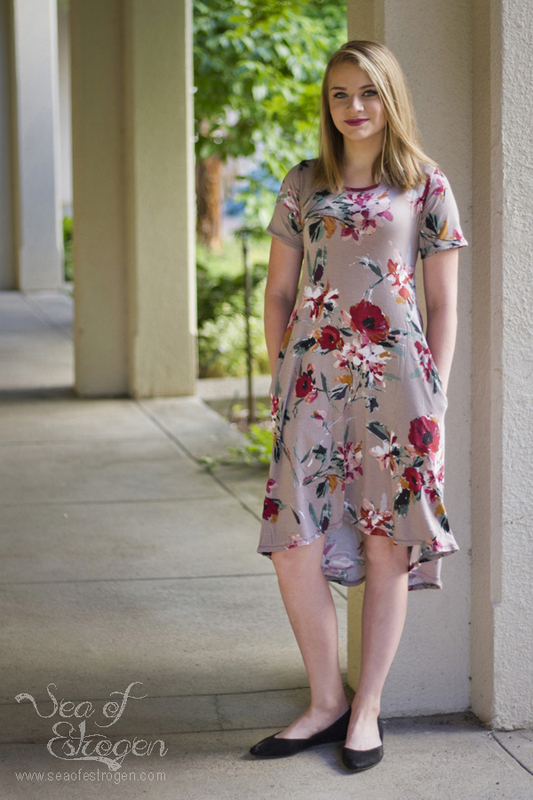 Reagan LOVES this dress, and has requested a solid color version, as well as some other patterned ones. I exaggerated the high-low hem on Reagan’s dress at her request, and it was a pretty simple “hack”. I took about 3″ off the center front seam line, grading the curve gently to the side seam where it meets the back piece. 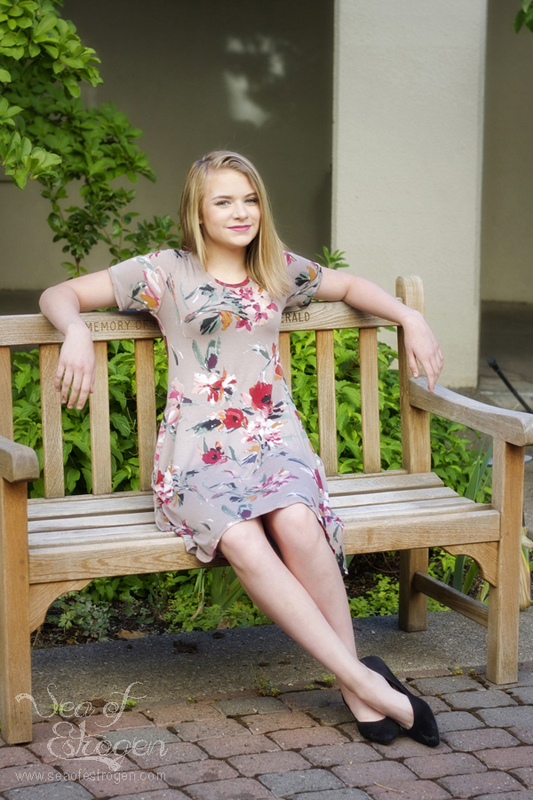 Reagan wore this dress to an audition a few weeks ago, and she received tons of compliments and “Where did you buy it?” comments, which makes me happy! I love that I am able to make clothing that she likes, is on-trend, and in style. 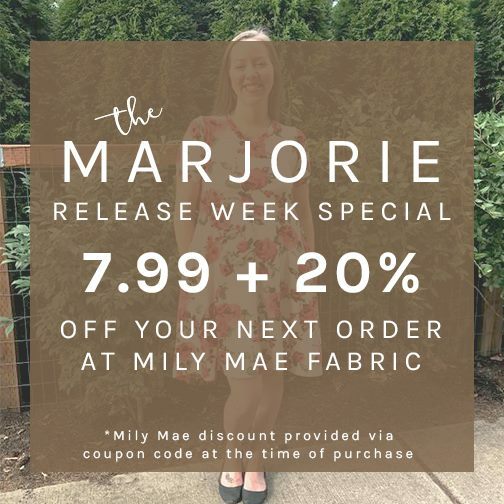 The Marjorie will be on sale this week only with a special coupon code to Mily Mae Fabrics included in your purchase notes. Snag it SALE price of $7.99 (normally $10.99), AND get 20% off your next purchase of Milly Mae Fabrics! 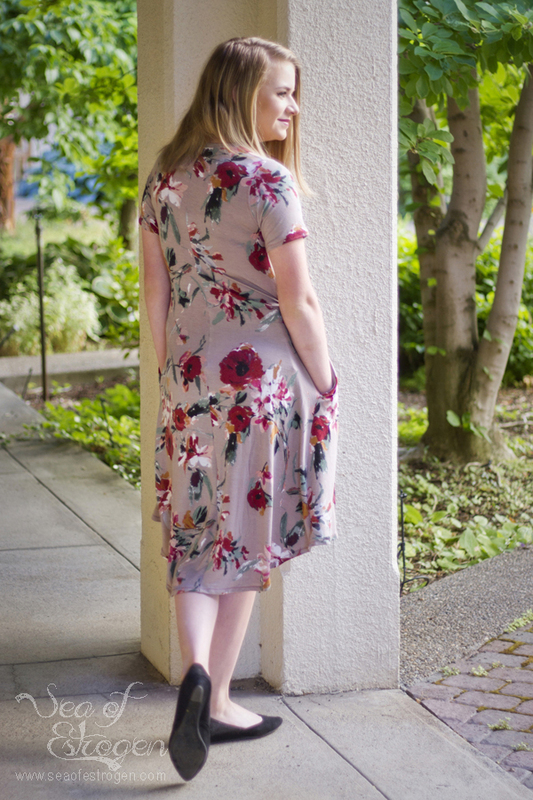 The Marjorie is a hit at our house, and has earned a spot in the rotation of patterns to be sewn up this fall! Thank you for reading, and, as usual, if you have any questions, feel free to ask in the comments, and I will try to answer them. In addition, check out the other amazing participants of the blog tour.